Some churches are using the popular TWILIGHT novels about teen vampire love as Sunday school material for youth. Is this wise? 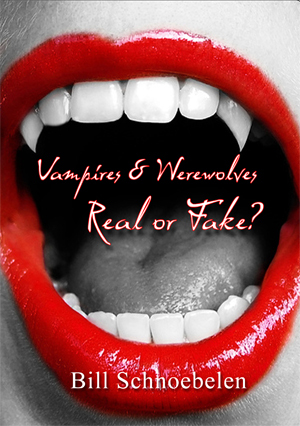 Bill, who used to be involved in vampirism and Satanism addresses these issues: Are vampires and werewolves for real? What does the Bible say about these creatures? What are godly choices for entertainment for Believers? What is the spiritual warfare and prophetic component behind this media blitz? These are important questions for all Believers, but especially parents, pastors and youth workers. This video is the perfect companion to the 9 hour expose "Interview with an Ex-Vampire - A True Story"